We offer a variety of Thermal Transfer and Direct Thermal labels. Labels are available in white and in a variety of colors and sizes to suite your individual printing needs. Call today for pricing. White 4x6, 4x6-1/2, and 6x4 thermal transfer labels available for immediate shipment. Custom Pressure sensitive labels in a variety of sizes, shapes and colors. Custom design your label today. We offer a wide range of adhesives and face stocks to suite your application needs. Thermal transfer ribbons are available in a wide range of sizes, colors and widths. We have ribbons available for all types of thermal transfer printers. Most ribbons are in stock, and are available for same day or next day shipping. Design your custom tag today, or choose from one of our stock tags available for same day or next day shipping. Tags can be ordered to suit your individual needs. A proof is always provided for your project. Preprinted and blank paper tapes available for your identification needs. Tapes are available in a variety of widths, and colors. Usage's include color coding, hose and tube identification, and product identification. 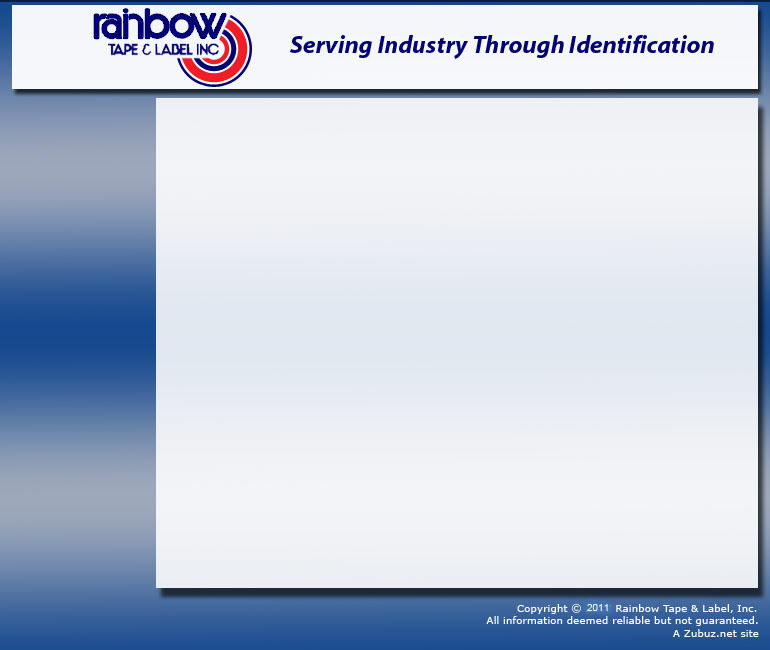 Rainbow Tape and Label, Inc. provides a variety of stock items including, SPO labels, Monthly circle labels, and packing slips available for same day shipping. Call today, for more information. Electric and manual label dispensers for labels, widths from 2-1/2" up to 10". Use these dispensers for increased productivity.